Almost a century ago, the first bag of fertilizer was sold in Ontario by a representative of American Agricultural Chemical Company (AACC) to a farmer in Middlesex County. For the next decade or more, AACC (one of North America’s earliest fertilizer companies, founded in 1899) continued to sell fertilizer into SW Ontario from their Michigan facilities; however, without a fixed presence in Canada, the logistical challenges created an obvious barrier to growth. Consequently, in 1931, AACC received letters of patent to create a new Canadian division, resulting in the formation of Agricultural Chemicals Limited (ACL). The head office and first retail/distribution plant was established in Port Hope, Ontario. A second plant was constructed a year or two later near Montreal in Chambly, Québec. M.J. Daignault was appointed the first general manager of the fledgling ACL and went on to steer the company through the Great Depression, Second World War and the euphoric 1950s. During this time, ACL became well established in both Ontario and Québec, while its parent company (AACC) grew to be the largest fertilizer company in North America, backed by key phosphate mines in Florida along with an extensive network of fertilizer production facilities and retail outlets across the United States. Simultaneously, ACL and AACC became most associated with their trademark brands, Agrico Fertilizers and AA Quality. In 1960, Mr. Daignault retired after nearly 30 years of service with ACL, and R.Q. Phillips was appointed as the new General Manager. At this time, the petroleum industry was prospering in the wake of the post-war manufacturing boom and as the concept of Peak Oil came to the forefront. With healthy bottom lines, many of the big oil and gas companies began to diversify into another promising industry that was in the midst of the Green Revolution – agriculture – and more specifically crop inputs. As a result, in 1963, AACC and all of its divisions (including ACL) were purchased by the Continental Oil Company (Conoco). In 1965, a young man named R.L. Whitelaw joined ACL as District Manager of Middlesex County, working out of the Hyde Park fertilizer plant near London, Ontario, that had been in operation since 1956. He would go on to play a prominent role in charting the course of the company. A year later in 1966, Conoco merged AACC with another U.S. division and renamed the business, Agrico Chemical Company (ACC). North of the border, the Agricultural Chemicals Limited division of ACC continued to operate under the same name but was already commonly referred to as Agrico in the trade. In 1967, John Morgan started his successful tenure as General Manager of ACL. Under his guidance, the company continued to expand throughout the late 1960s and early 1970s, adding retail “Farm Centres” in Eastern Ontario at Cobourg, Belleville, and Lindsay, as well as numerous Agrico “agents” across Southern Ontario and Québec. In 1972, another major change occurred at ACL when The Williams Companies of Tulsa, OK purchased the parent, Agrico Chemical Company, from Conoco. Williams was another large and successful company with interests in oil, gas and mining. Also around this time, a paradigm shift was occurring in the fertilizer industry as manufacturers and retailers gradually switched from “granulated” or “continuous ammoniation” product – a process of combining NPK into homogenous granules at defined ratios that was largely developed and introduced by AACC/ACC/ACL – to bulk blending of separate N, P and K fertilizers. The process of bulk blending allowed for greater flexibility to create custom formulations at the retail level. Furthermore, most granulated product up to that point was sold in bags; whereas, bulk blending enabled lower costs and greater productivity at the field level as farm sizes started to expand. Recognizing the changing dynamic in Ontario and Québec, ACL started modifying its traditional system of regional retail distribution centres and peripheral agents selling “pre-packaged” fertilizer blends to more localized retail dealerships offering customized in-house blends for their customers. In 1974, R.T. McFerson replaced John Morgan as G.M. of ACL and, in the same year, the company made the pivotal decision to diversify into the wholesale fertilizer business, creating a “Blender Dealer” division (managed by R.L. Whitelaw) that not only supplied the growing network of Agrico Farm Centres, but aimed to service another segment of the market starting to grow in prominence under the evolving agricultural landscape: the Independent Dealer. ACL moved quickly to align itself with this group as more than a mere supplier of fertilizer products by helping many former Agrico agents and other entrepreneurs start up or modernize existing retail outlets with leading edge tower blending systems. The ACL plants at Chambly, QC and Hyde Park, ON were already equipped to operate as both wholesale and retail facilities; however, the company needed to expand to meet the demand, so, in 1975, ACL built a new wholesale terminal in St. Thomas, ON. With the immediate success of the Blender Dealer initiative in Ontario and Québec, ACL expanded its focus to Western Canada in the mid to late 1970s. In a few short years, ACL was able to cultivate relationships with key Independent retailers in Manitoba and Saskatchewan, leading to the construction of a liquid fertilizer terminal near Winnipeg at Oak Bluff, Manitoba in 1980; the same year R.T. McFerson stepped down as G.M. The company further strengthened its position in the West via the long-term lease of a terminal at St. Paul, MN to take advantage of barged product on the Mississippi River; a primary supply route for the region. nited States by creating a Canadian chapter of the Certified Crop Care Dealer Association. Crop Care is an exclusive group of Agrico’s key Independent dealer customers with the collective goals of providing networking opportunities, advanced agronomy, exposure to new technology and products, and leading edge training. Ironically, the American version of Crop Care was short-lived; whereas, its Canadian counterpart continues to thrive after more than 30 years. While the mood remained relatively optimistic in Canada, the fertilizer business experienced a lag south of the border in the late 1970s / early 1980s, exacerbated by soaring interest rates. As a result, The Williams Companies opted to sell all of the American retail assets of the Agrico Chemical Company, comprising 300+ outlets, to Crop Production Services (now owned by Agrium). Although ACC retained its fertilizer mining operations, wholesale assets and ACL, the writing was on the wall that Williams would soon be looking to divest of its remaining fertilizer interests. In 1985, with the help of a small group of Canadian associates, R.L. Whitelaw realized a unique opportunity by purchasing 85% of Agrico Canada Limited/Limitée from Agrico Chemical Company and its owner The Williams Companies. The remaining 15% was purchased from IMC-Agrico in 1994 (Williams had sold the rest of ACC in 1988). In 1987, the company constructed a fertilizer terminal at Hamilton harbour in Ontario. This was a watershed moment for the “new” Agrico as it enabled inbound access to fertilizer shipments via lakers and ocean vessels in addition to receiving by the standard methods of rail and truck. 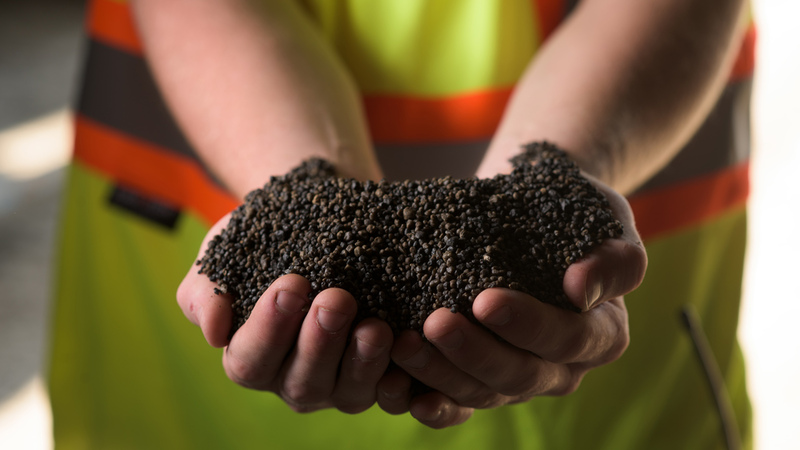 The North American fertilizer market was continuing to evolve; at one time almost solely reliant on domestic fertilizer supplies, it was starting to feel the influence of globalization…and with access to a deep water port, Agrico was now well positioned to offer Ontario and surrounding markets competitively priced product sourced from all over the world. The following year, 19 88, marked another important event for Agrico when it entered into a Joint Venture partnership with Double Diamond Farm Supply of Boissevain, MB. Although Agrico already had previous experience with business partnerships, this deal marked the first major evolutionary step in what would eventually become a successful and relatively unique corporate philosophy. Over the next 20+ years, Agrico slowly but steadily backed out of direct involvement in the retail business through its fully-owned Farm Centres, instead preferring to spin off the outlets into partnerships with local managers. The company also sought out (and continues to pursue) stategic opportunities to form new partnerships with start-ups and existing Independents. In 2011, Agrico Canada Limited/Limitée was sold to La Coop fédérée of Québec, and R.L. Whitelaw retired after 46+ years with the company, including 26+ years as President. Agrico has withstood the tests of time and continues to be one of the leading suppliers of dry and liquid fertilizer products in Canada. The company’s vision statement, motivators and core values reinforce our commitment to providing top quality products and services.